Navy Captain Tom Chandler (Eric Dane) and his crew must find a cure after a pandemic wipes out billions of people worldwide. Scientist Rachel Scott is assigned to the U.S.S. Nathan James to investigate the cause of the rapidly spreading virus. Chandler and his crew may be humanity's last hope in the wake of a worldwide catastrophe. Captain Tom Chandler and the crew of the USS Nathan James set out for the Arctic with two civilian virologists who claim to be studying birds. Chandler and his crew head to the U.S. Military base at Guantanamo Bay in hopes of collecting food, medical supplies and fuel replenishments. The James faces off against a new foe who demands Chandler hand over Rachel and her research. 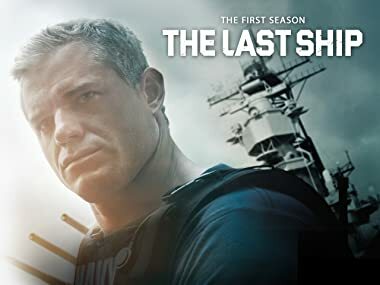 Days after a trying series of events at Gitmo, Chandler and his crew are put under extreme duress when the ship's propulsion system suffers a catastrophic event. After returning from the horrors of Nicaragua, panic begins to spread throughout the ship when Lt. Danny Green comes down with a mysterious illness that could be the virus. After picking up a distress call near Jamaica, Chandler and a small team stage a rescue attempt. But a surprise attack leaves Chandler and Tex stranded at sea. With Chandler and Tex caught in a dangerous situation, Slattery has to step into the role as commanding officer. Rachel and Chandler ask for six volunteers to participate in human trials of her vaccine, but the tests could be a living hell as the virus and the vaccine do battle inside their bodies. Season one comes to an end as Chandler and his crew finally return home, where a former D.C. power player is fending off a dangerous warlord who threatens her hopes of restoring law and order in society.